Well, the book display of Marjon’s authors is up, but I still have a lot more books to talk about. And that brings me to George Manville Fenn. Fenn was a student when the St John College was still called Battersea Training School; He was one of the first teachers that were trained here. He turned to writing, mostly adventure novels both for boys and adults. And man, what a list that is! He rivals DeFoe in the number of published books. 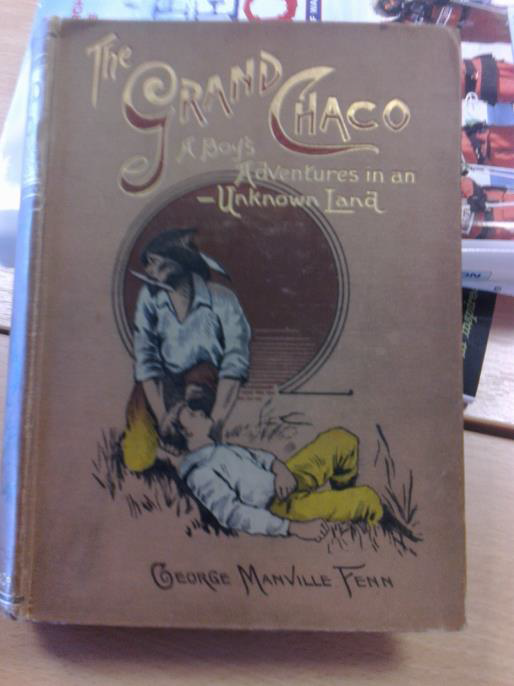 In our collection there is ‘The Grand Chaco’ one of his books for the younger audience. It tells the story of teen-aged Rob Harlow as he travels up the Grand Chaco in Paraguay and all the exciting incidents that befall him. When I lived under the metaphorical rock (long time ago, far away AND with no internet access), I would eat up books like that. We all know the story: a boy goes into the world, meets people, has adventures and sees all the wonders of the world- no surprises there. But that was not the point. In my days and the days before me, if you wanted to learn about far-away lands you either buried yourself under dry descriptions in encyclopaedia or read that kind of books. They would tell you how would you go about hunting a jaguar or catching a local fish; What sunrise would look in the deepest jungle and what kind of people would live in that place. 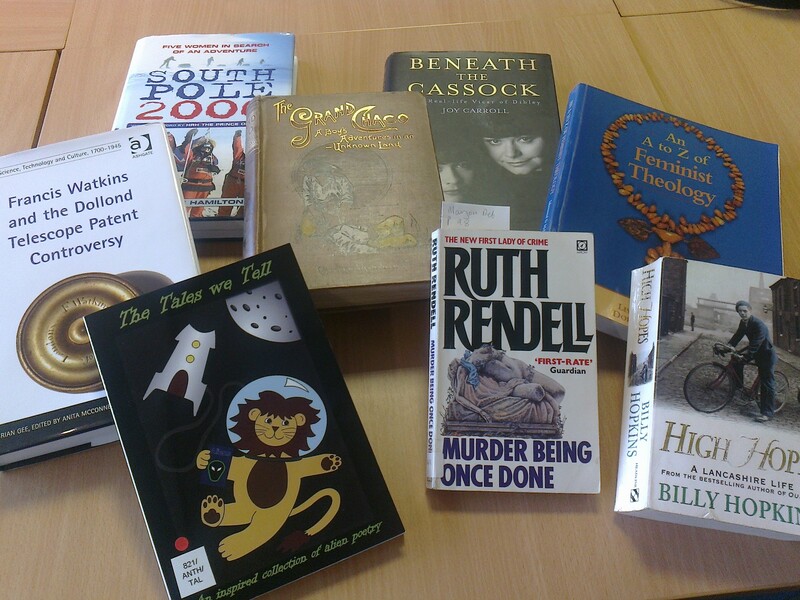 Granted, those books don’t age well, some things would make you go ‘ow, my modern sensibilities!’. Still they contain the delight of looking at a different reality, be it thousands of miles away or hundreds of years ago, most often both. Also, no post next week as I am walking in Mendip Hills. The first book that caught my eye in the pile that would go on display is Brian Gee’s ‘Francis Watkins and the Dolland Telescope Patent Controversy’. Gee used to be one of our lecturers and that’s why we have the book. Long story short, there was this rivalry between John Dollond and Francis Watkins and who really got rid of the chromatic aberration in telescopes. At one time, the chromatic aberration was a common problem in telescopes, which made the picture to have rainbow edges because of the way the light refracts in the lenses. Oh okay, I’ll stop talking nerd now. If you’re interested in that stuff see this and this. But the book is more than an old legal dispute between two nerds. I learned a lot about the life of craftsmen and artisans in 18th century London (ever wondered where the term ‘indented servitude’ comes from?) that still employed the master- apprentice style of trade education. We don’t think of that time as having sophisticated technology or scientific infrastructure. But the truth is there were communities of people that made their living by catering to early scientists, supplying them with apparatus and other supplies that made scientific progress a reality. 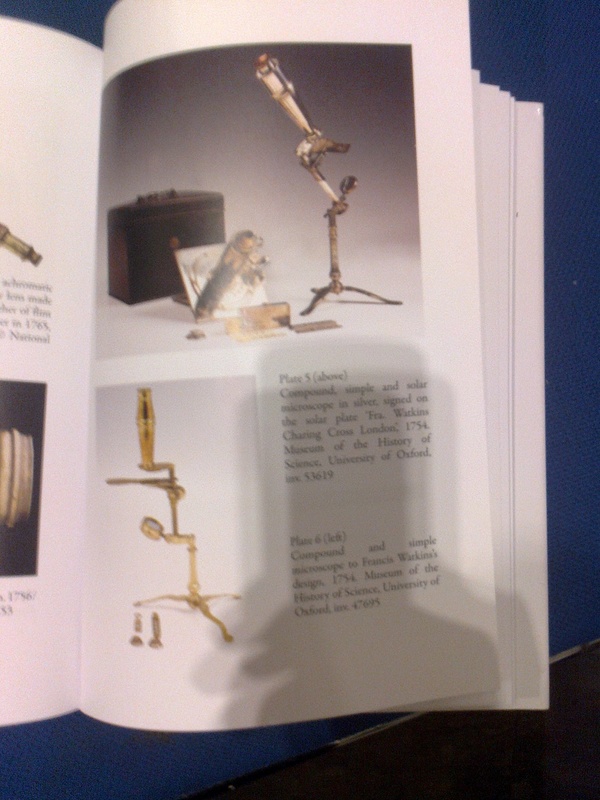 And those apparatus were a thing of beauty, marrying the cold, scientific principles to the artistry of craftsmanship. I am talking silver bodies, engraved rims and luxurious woods- equipped with intricate mechanisms and high quality glass. That’s the humanist spirit at its best. Check this book out if you ever have a chance, even if it’s just for pictures.